Orginals ~ Bearded Lincoln, commissioned by Phil Wagner in 1988, the re-opening of Lincoln Home. 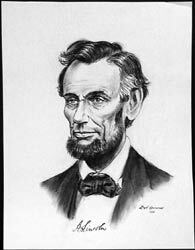 Subject: Beardless Lincoln, commissioned by Phil Wagner in 1988, the re-opening of Lincoln Home. 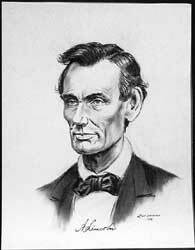 Description: Chalk pencil-wash on artist board, 17" x 24"
Copyright © 2005-2014 Interactive Data Technologies.